'Music for me is part of a larger abstract schema; it is driven by conceptual ideas and the exploration of the possible qualities of sound'. Cat Hope (b1966) is an Australian composer, musician, sound artist and researcher. Cat's composition and performance practices are conceptually driven, engaging elements of low frequency sound, drone, noise and improvisation. Her composition practice mostly uses dynamic graphic notation, know as 'animated notation' and has been discussed in publications such as Loading the Silence (Kouvaris, 2013), Women of Note (Appleby, 2012), Sounding Postmodernism (Bennett, 2011) as well as periodicals such as The Wire, Limelight, and Neu Zeitschrift Fur Musik Shaft. Gramaphone magazine in the UK noted Hope as '"one of Australia's most exciting and individual creative voice...a remarkable composer." Gramaphone Magazine UK, 2017. Her works have been performed at festivals internationally and broadcast on Australian, German, Italian, French and Austrian radio, and has a monograph CD of her compositions out on the Swiss Hat Hut Art labe, which won the German Preis Der Deutschen Schallplatten Kritik in 2017. In 2013 she was awarded a Churchill Fellowship to study digital graphic music notations internationally, and is a Civitella Ranieri Fellow (2014). 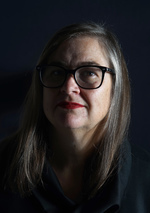 She has undertaken composer residencies at the Visby International Composers Centre, Sweden and the Peggy Glanville Hicks House in Sydney in 2014. She also creates sound for art installation and film - collaborating with artists such as Kate McMillan, Erin Coates, Tracey Moffat and Perun Bonser. She has been a songwriter with 4 albums to her credit, playing in pop bands in Germany, Italy and Australia in the 1990s. Cat is the director of and performer in the award winning new music ensemble Decibel that focuses on digital graphic notations and the combinations of acoustic and electronic instruments. Her leadership of the ensemble was recognised in the 2011 and 2014 with an National ARPA|AMC Excellence in Experimental Music award. The group has commissioned over 50 new works since its inception in 2009, and has toured Australia, Europe and Japan, and has three albums of new Australian music published to date. She is also the founder of the Australian Bass Orcehstra and plays bass in a variety of groups, such as HzHzHz, Candied Limbs and Super Luminum. As a flute player she has been commissioned to perform new works by Eliane Radigue and Lionel Marchetti. Cat is currently Professor of music and head of school at the Sir Zelman Cowen School of Music at Monash University in Melbourne. Kaps Freed : for piano and electronics (2016) Commissioned by Gabriella Smart. The Fourth Estate : for grand piano, 2 ebows, 2 a.m radios (2014) Commissioned by Zubin Kanga. Black eels : electroacoustic (2012) Commissioned by Austin Buckett. - Article: Thunderous noise of classical Cat's bass.